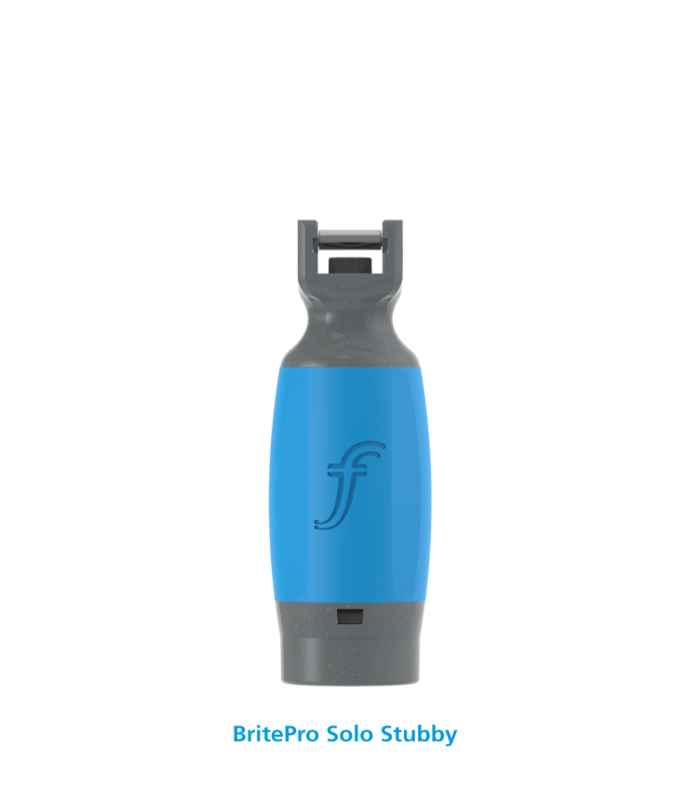 BritePro Solo consists of a sterile ergonomic handle with pre-fitted batteries, bright LED light, and fibre optic all-metal blade. 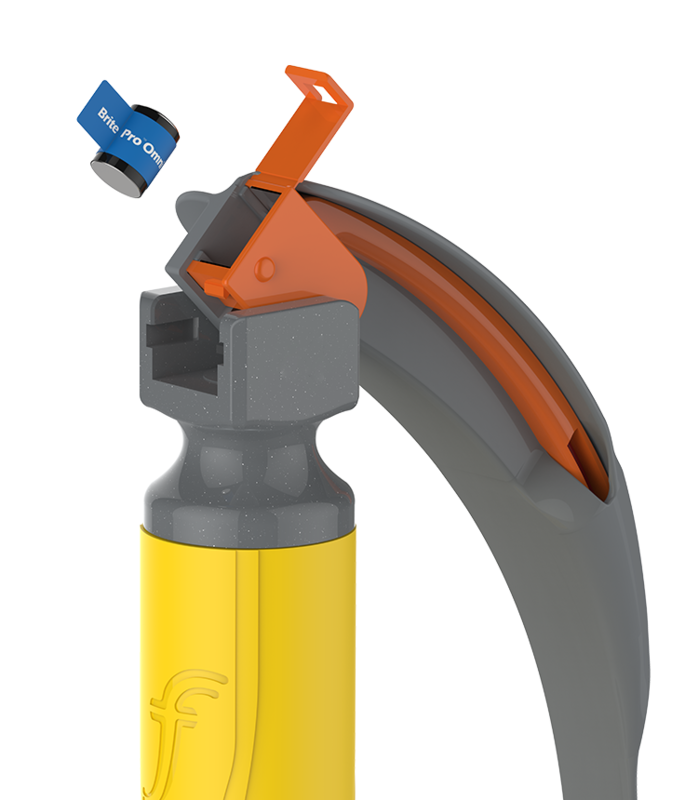 Simply open when needed, use and dispose. 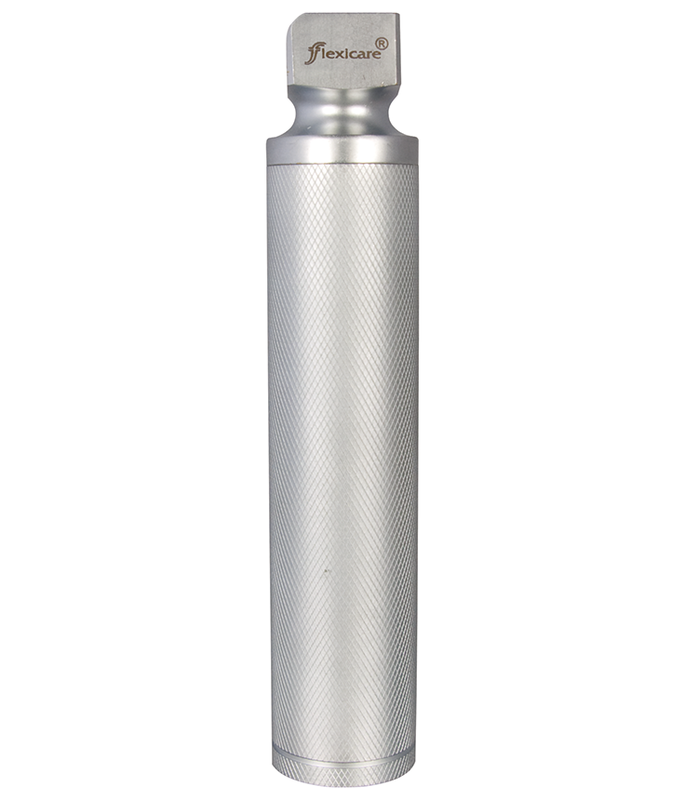 Unique textured grip delivers excellent control and feel, while the high intensity white light provides excellent visualisation. 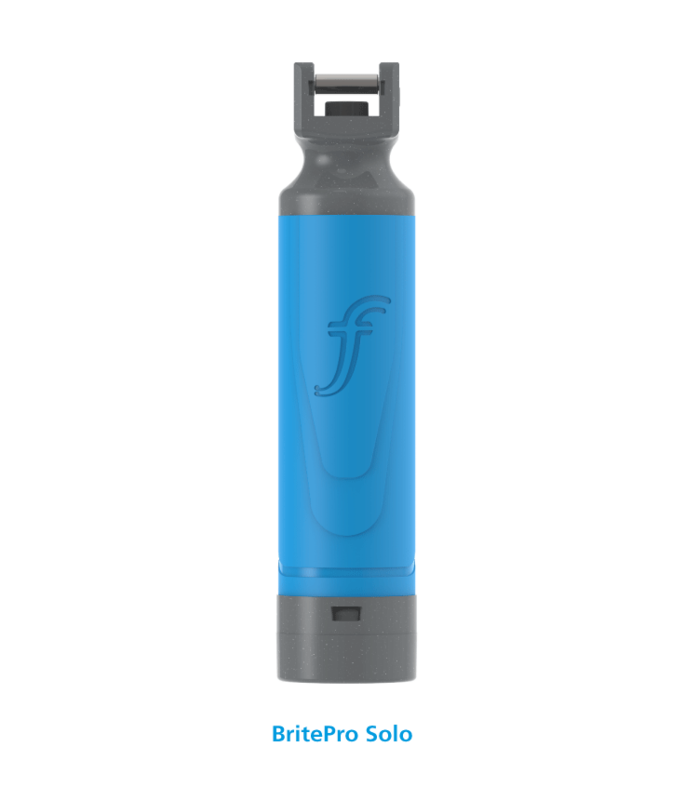 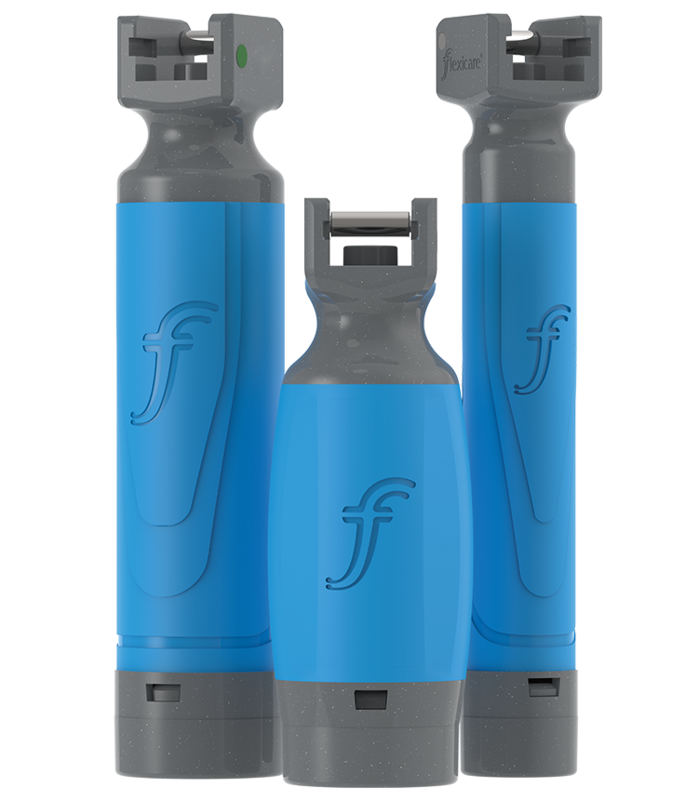 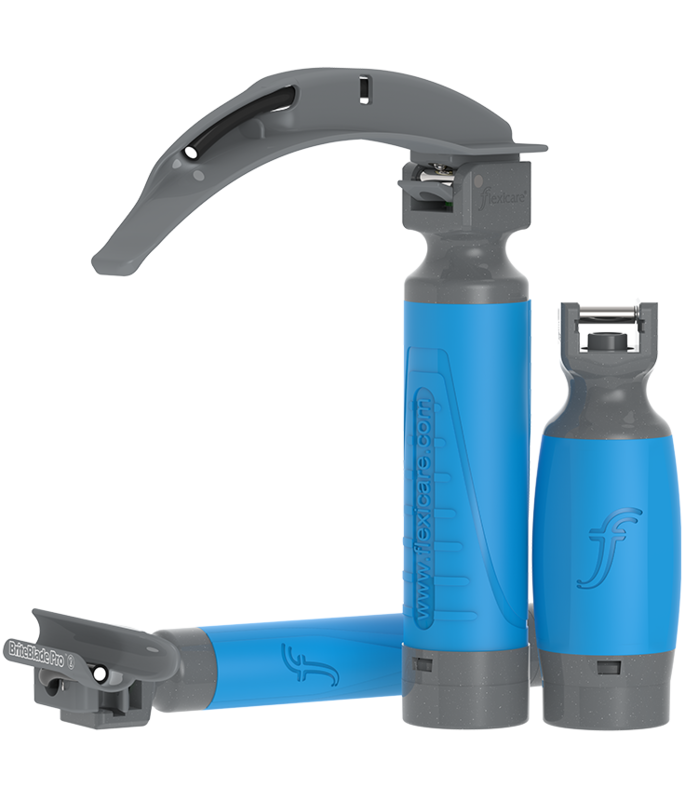 Take straight from the pack, use and safely dispose without removing the batteries, reducing risk of cross-contamination between patients and staff. 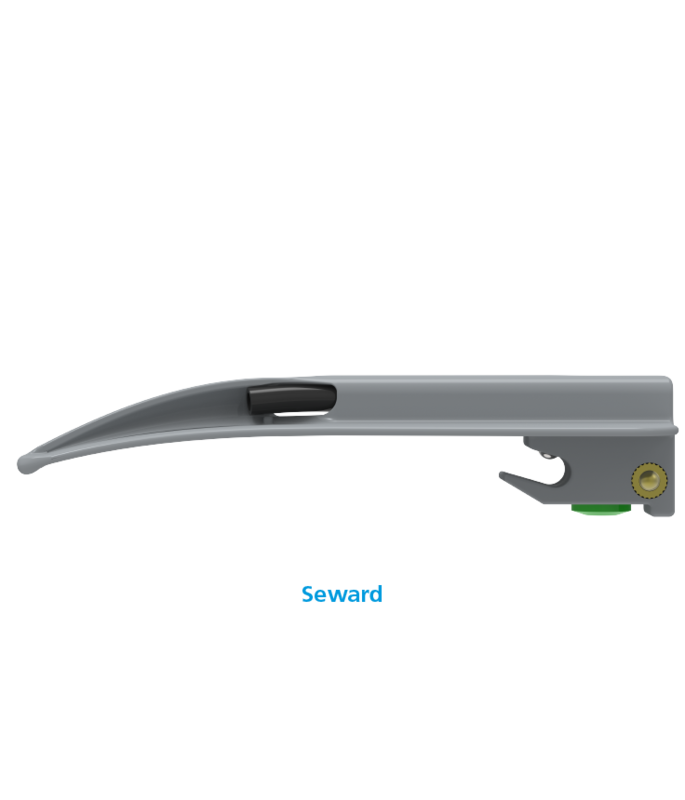 Quick and easy exchange of blade type and size without having to open another Solo pack. 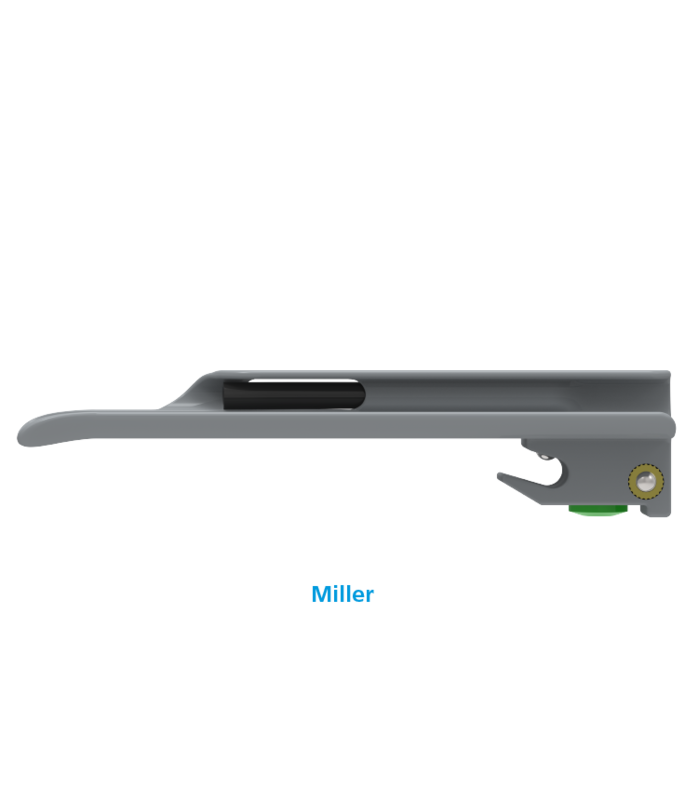 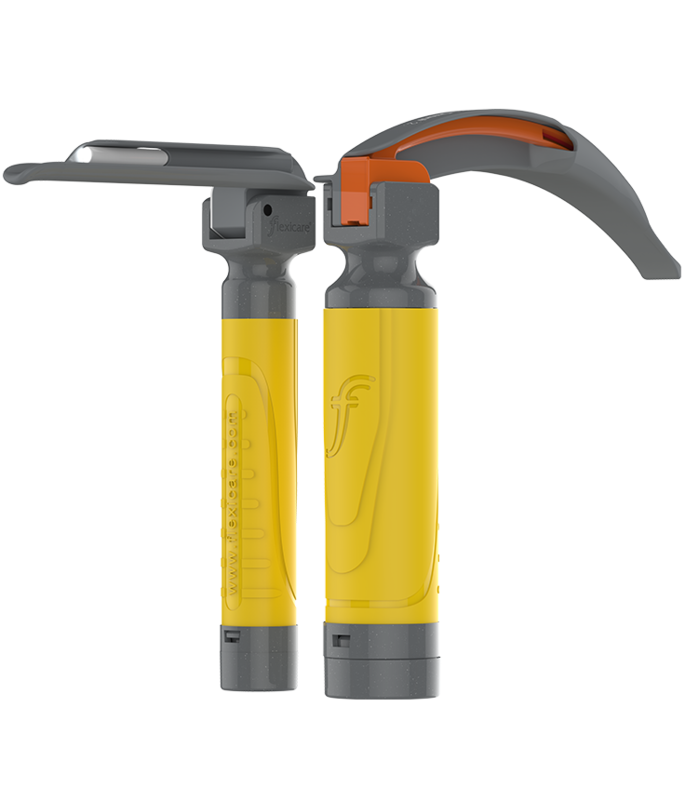 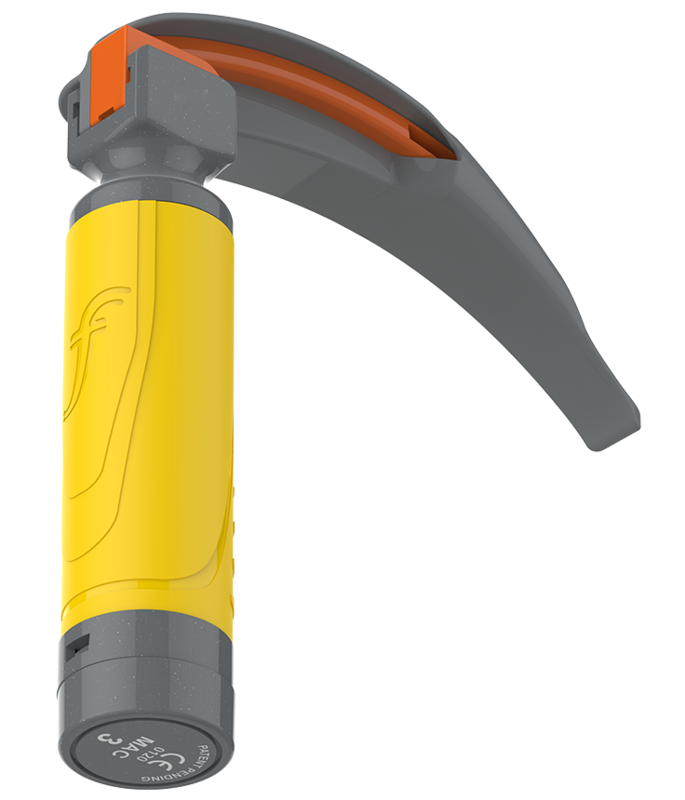 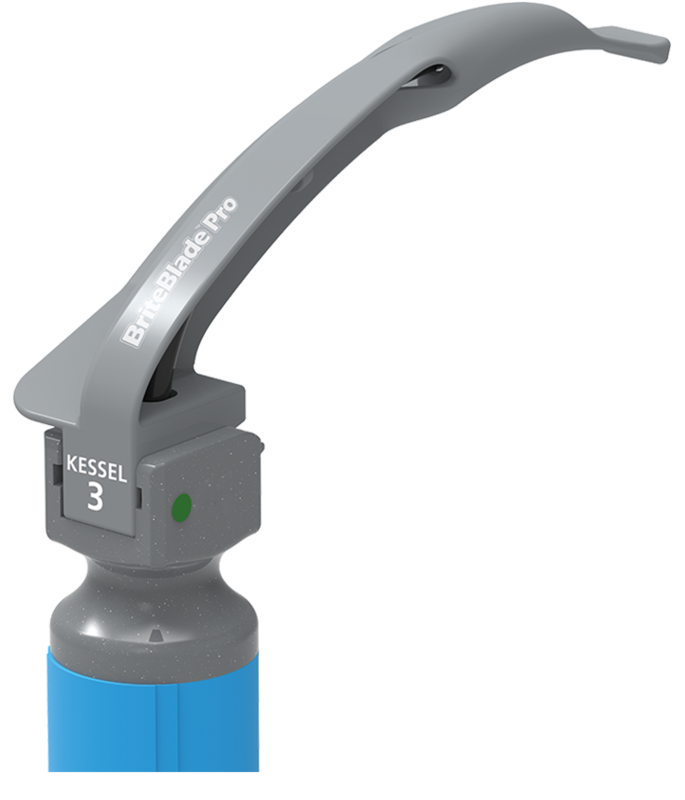 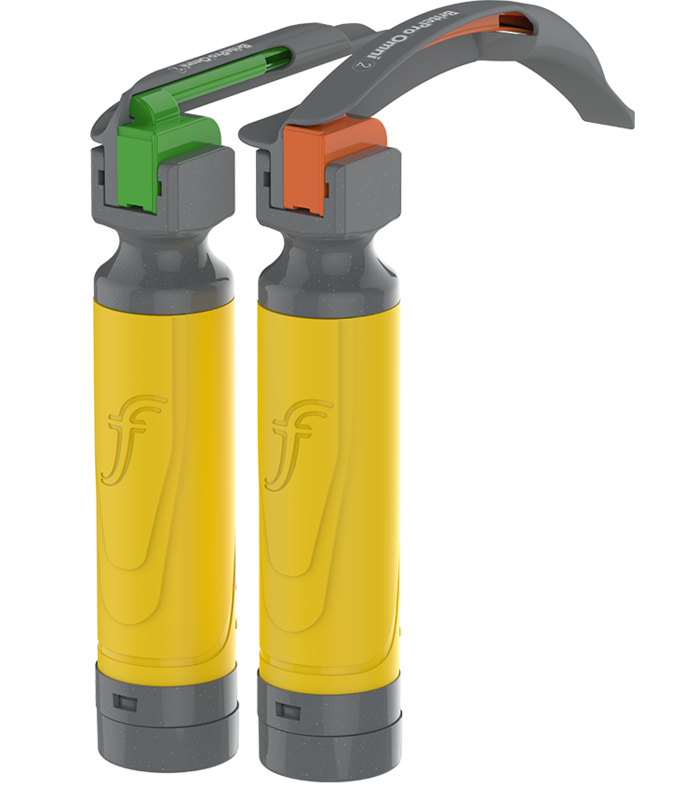 Reduction in the shoulder and block height lowers the risk of dental trauma and provides additional space to manoeuver the blade to obtain the best view. 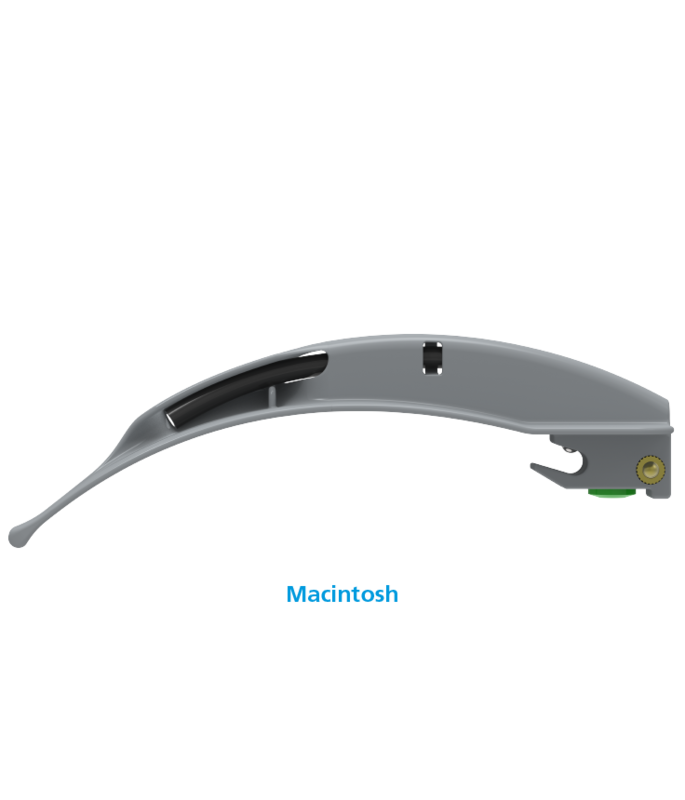 Typical overall height reduction of 71% in curved blades and up to 25% in straight blades. 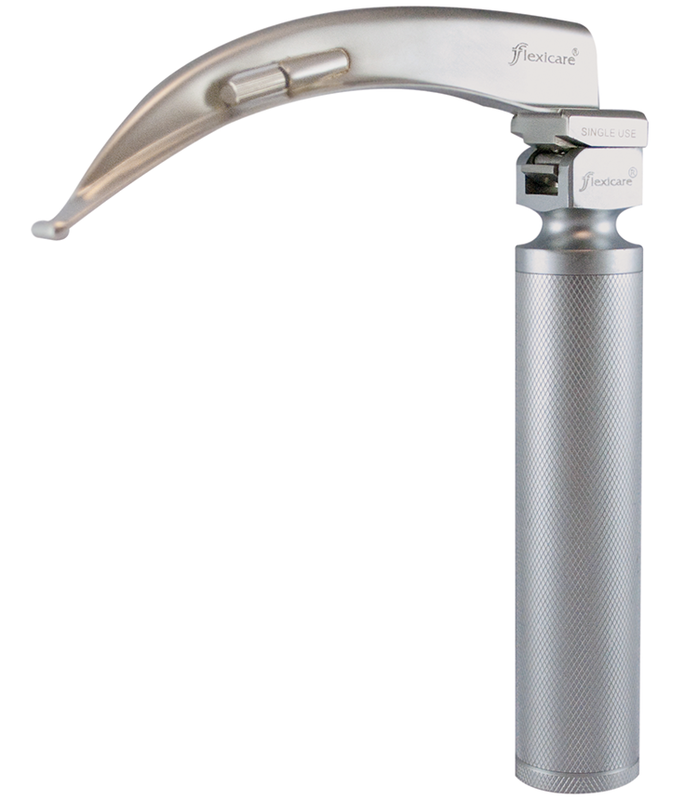 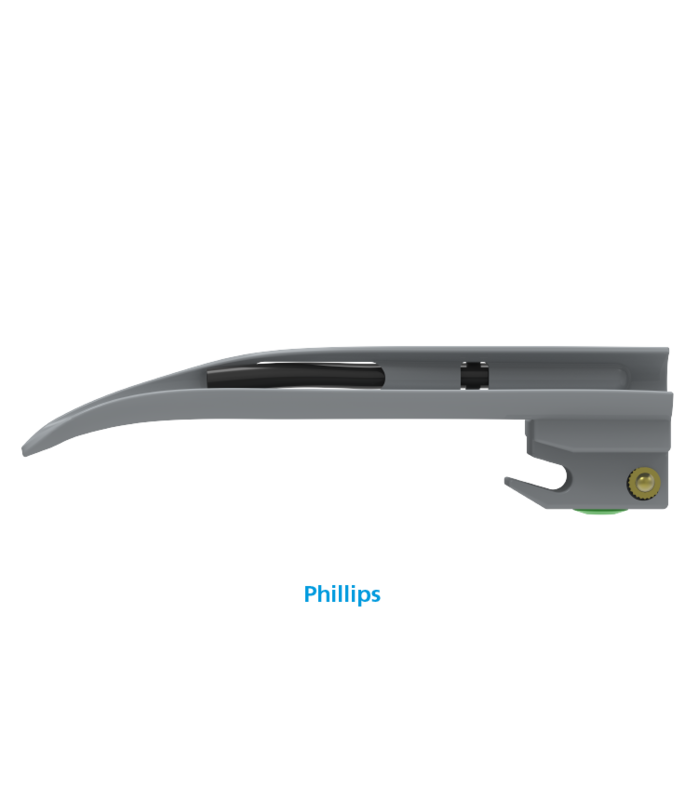 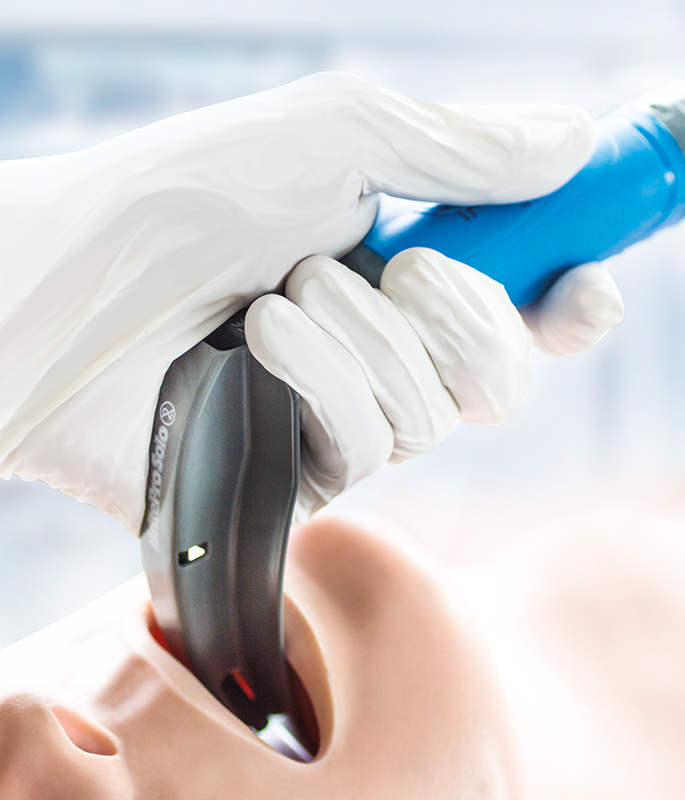 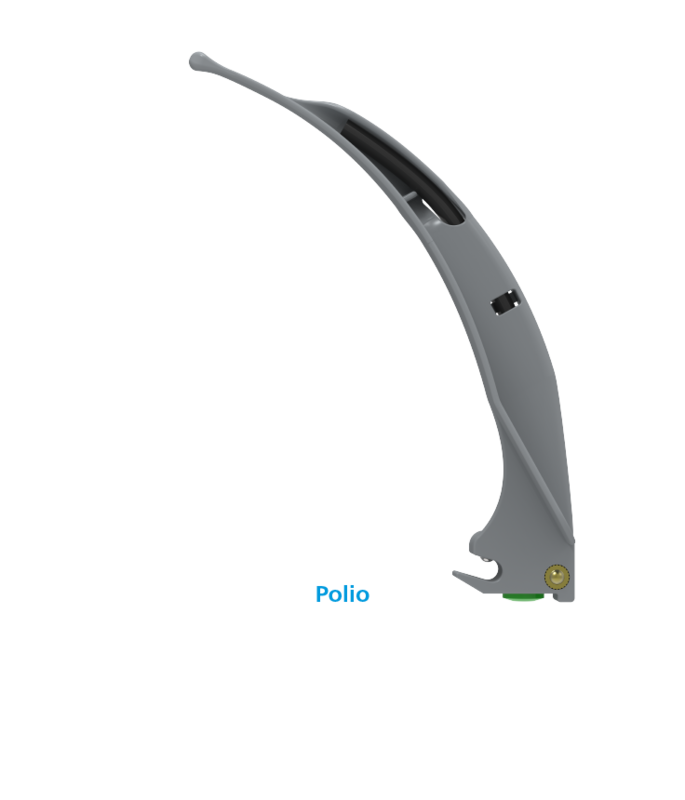 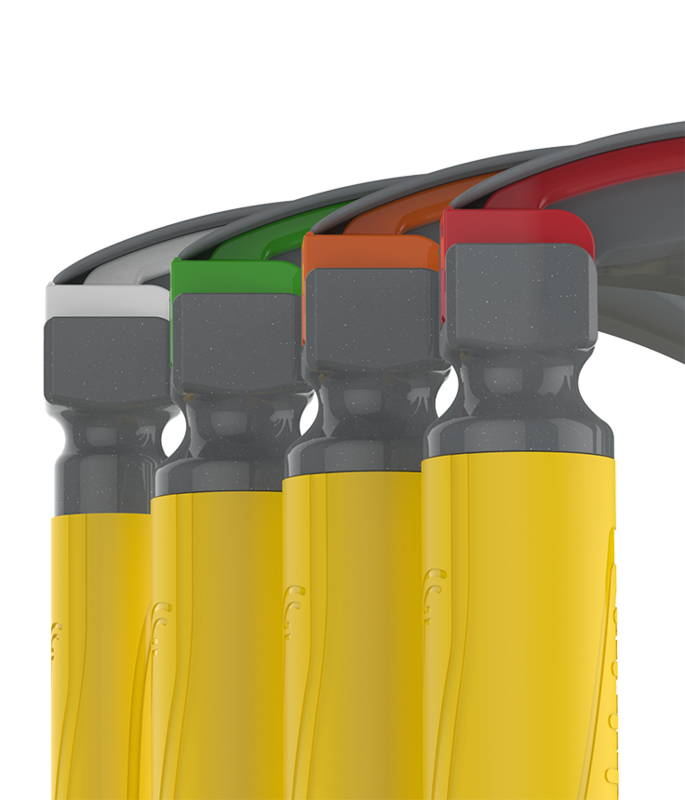 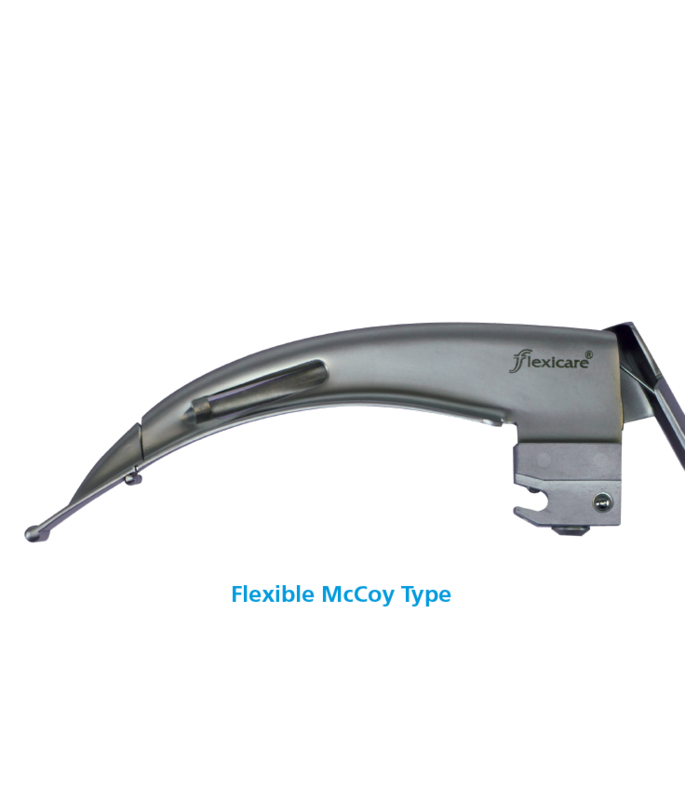 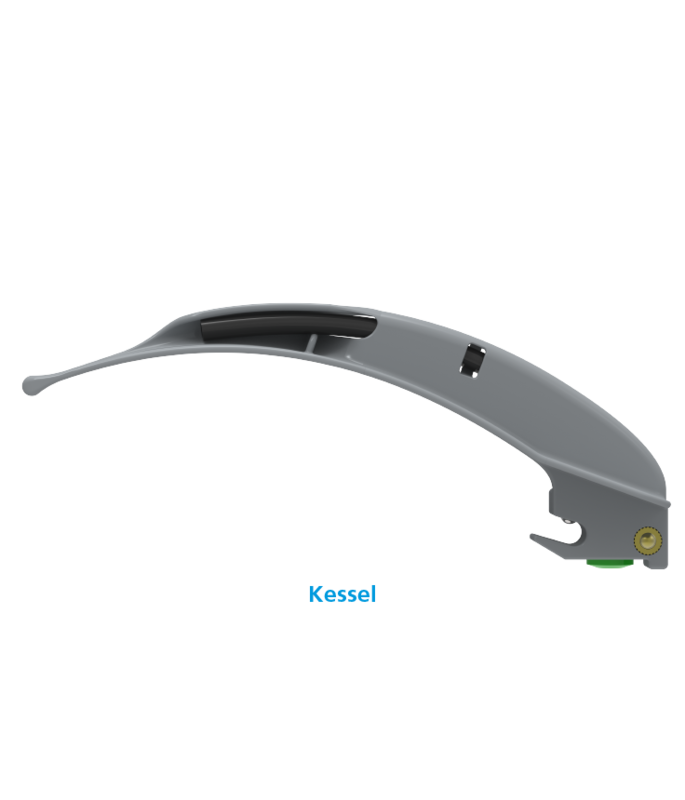 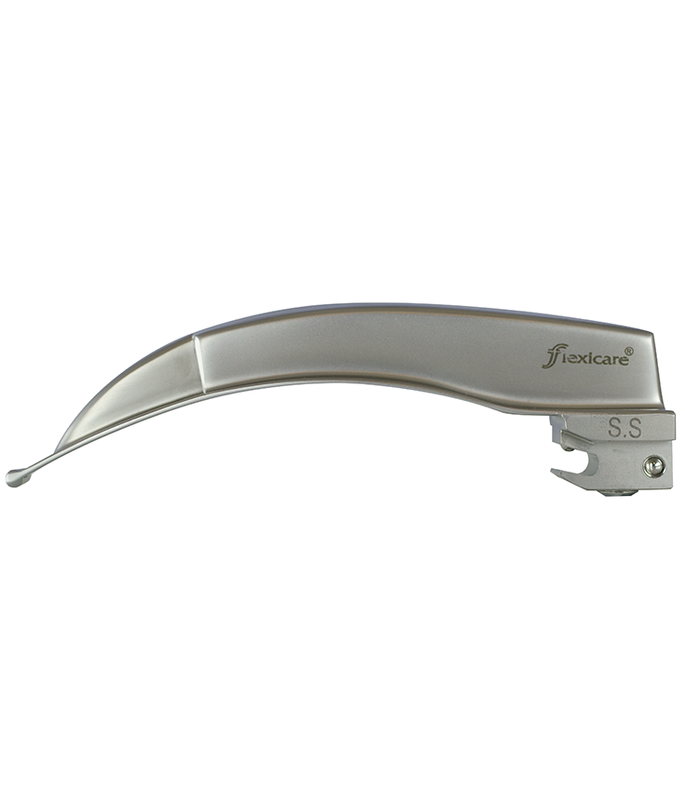 Comprehensive range of Adult & Paediatric, Single-Use, all-metal laryngoscope blades for every intubation situation. 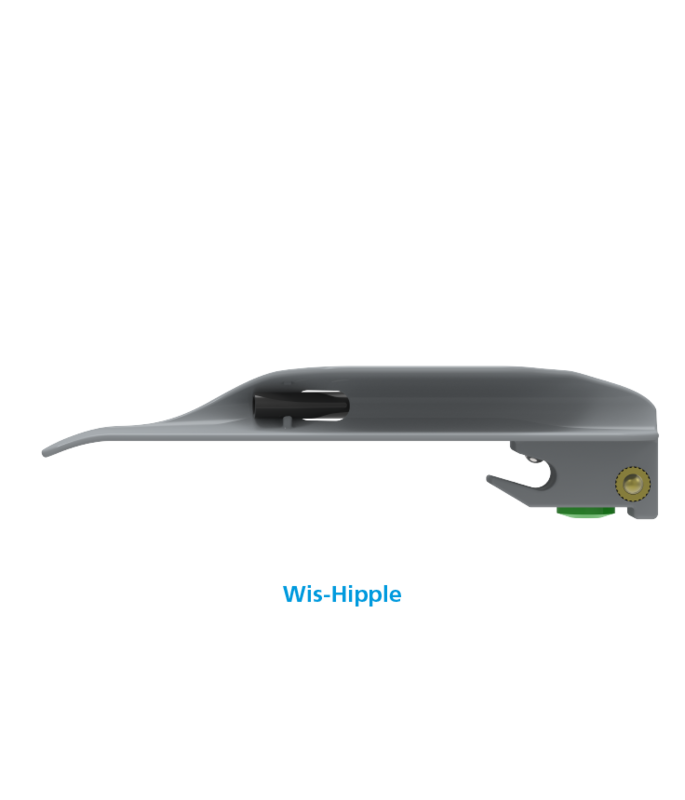 Compatible with all fibre-optic handles. 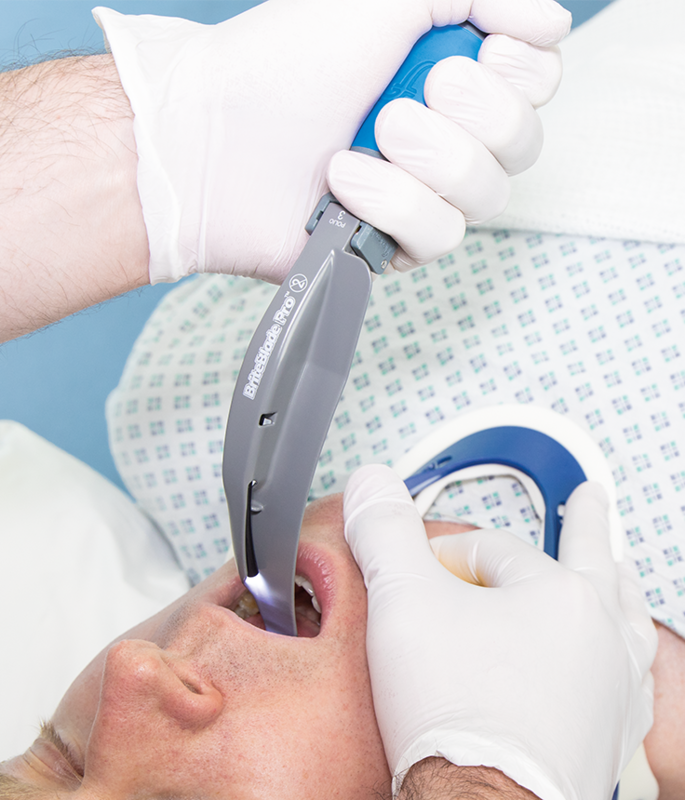 Shrouded fibre-optic bundle targets light on the glottic area enhancing view. 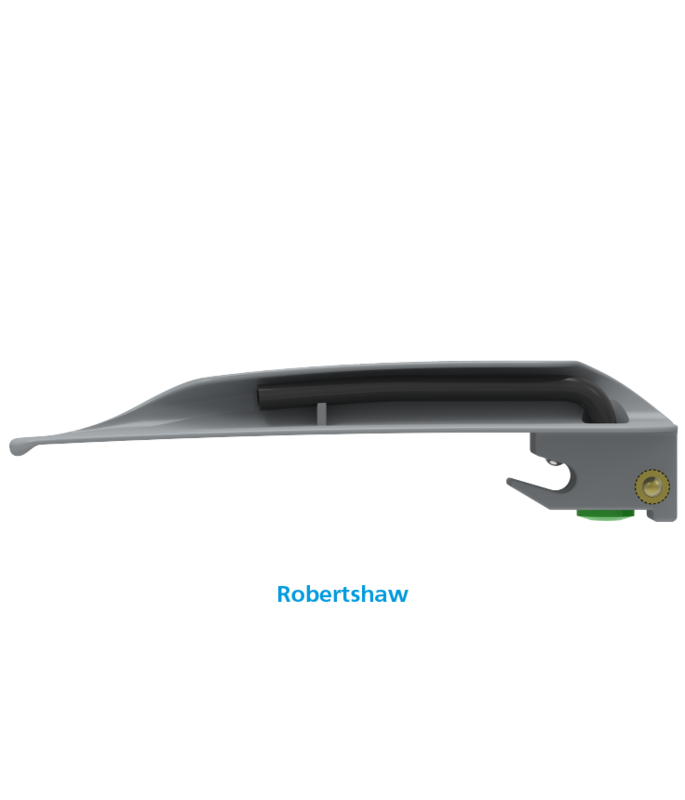 Reduces risk of cross contamination, simply open, use and dispose. 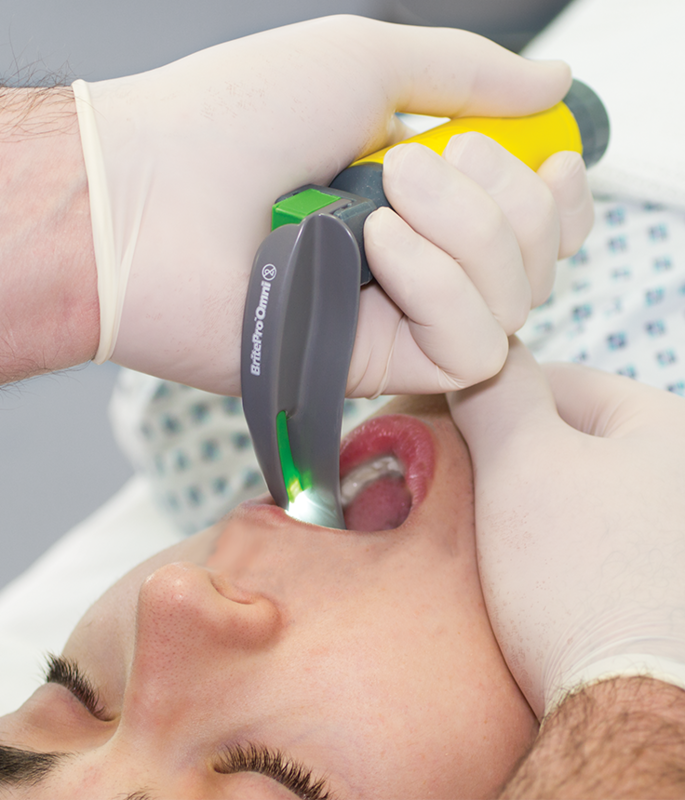 Conventional illumination disposable metal blades and handles providing all the benefits in a single-use form, avoiding costly reprocessing and sterilisation.